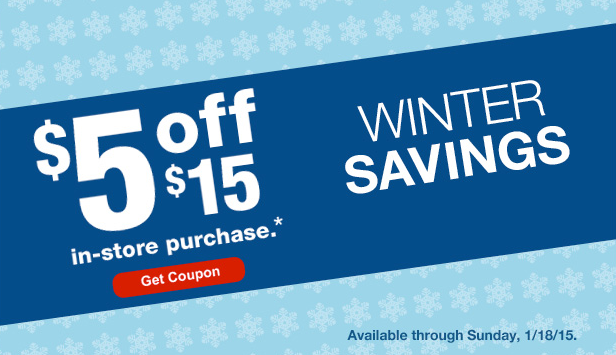 Check your email to see if you received a $5 off $15 off in-store CVS purchase coupon you can either print or send to your CVS card! This coupon INCLUDES sale items! ExtraCare card must be presented to get these savings. Excludes lottery, money orders, postage stamps, milk, prescriptions, pre-paid cards, gift cards, pseudoephedrine products and alcohol. No cash back. Tax charged on pre-coupon price where required. Limit of one purchase-based coupon, i.e., $4 off $20 purchase, per transaction. Offer not valid in MinuteClinic.